Your gift of money or time can help change a child’s life and offer an opportunity for a brighter future. According to the Department of Education, “research shows that early exposure to STEM has positive impacts across the entire spectrum of learning. For example, early math knowledge not only predicts later math success, it also predicts later reading achievement (National Research Council, 2012).” That’s good news. But it comes with a warning: too many children are not, in fact, being taught STEM at an early age. Kids in Tech has proven, demonstrated results, with over 90 percent of our participants reporting increased knowledge, skills, and interest in STEM fields. We’re growing by leaps and bounds and, with your generous support, look forward to offering our programs in more communities across the region and around the country. Club instructors are the cornerstone of Kids in Tech programming. Club volunteers spend once or twice a week for a semester in a community venue teaching Kids in Tech programming. They inspire students to continue the pursuit of technology and computer science skills. Many companies double or triple their employees’ charitable contributions through matching gift programs and/or offer workplace giving campaigns. Inquire at your company about opportunities to multiply the impact of your gift to Kids in Tech. Honor someone special by making a donation in their name. Simply select “Dedicate my donation in honor or memory of someone” on the the online donation form. Or, include a tribute when you donate by mail. 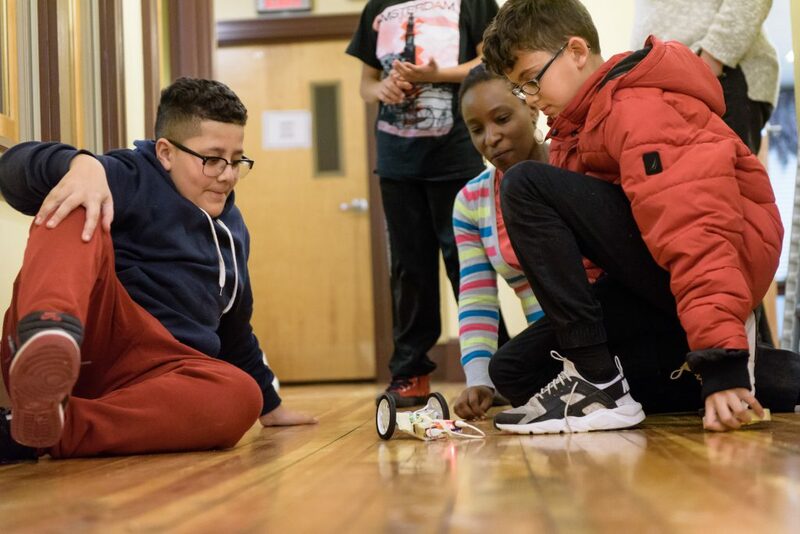 Planned gifts allow future generations to be enriched by high quality afterschool programming so together we can change the culture around kids and technology, engineering, and science. A donor-advised fund is a type of a giving program that allows you to combine the most favorable tax benefits with the flexibility to easily support Kids in Tech. Recommend a gift to Kids in Tech now through your donor advised fund using DAF Direct here. Gifts of appreciated stock entitle the donor to tax deductions at the appreciated value with no capital gains tax. Learn more here. You can make a difference by starting your own fundraiser in your community or workplace. Whether you are pairing with a local restaurant, running a marathon, or making donations in lieu of birthday gifts, you have the power to champion lasting social change by raising funds for Kids in Tech. You may donate cryptocurrency to Kids in Tech by visiting this page. Donate a portion of the proceeds from your Amazon purchases by choosing Kids in Tech while shopping at smile.amazon.com. Contact us to learn more and set up a donation today.